For the third year in a row, the Levitt AMP Trenton Music Series will bring Trenton alive at Mill Hill Park. Thursday, July 27h at 5 p.m. catch the inspiring beat. Viva La Hop’s name says it all. 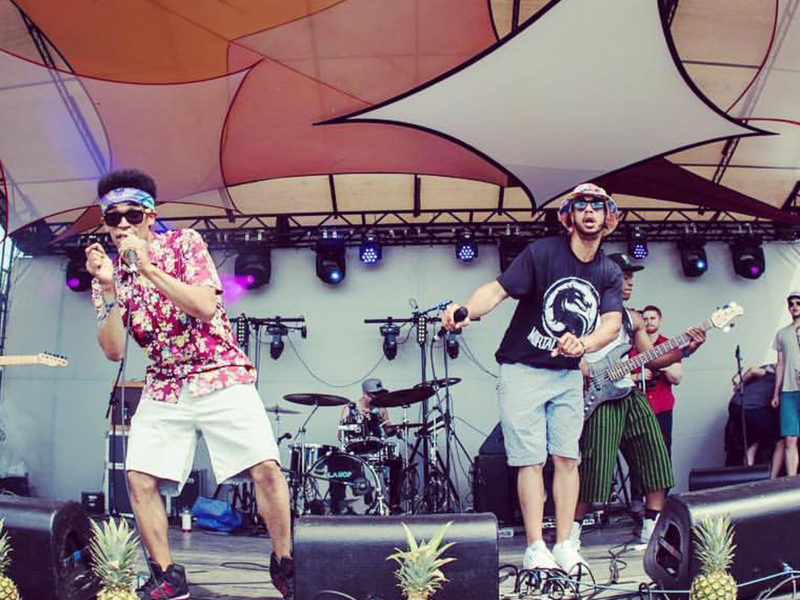 The nine-piece organic hip-hop group features talented MCs, saxophones, trumpets and a rhythm section. The group will keep you moving throughout their performance with thoughtful lyrics and contagious rhythms, combined with empowering words of Philly G & Baylen. July 28th 7 p.m. Mill Hill Playhouse Trenton Film Society’s, PopUp Anthology, and Full Spectrum Features Trenton Film Society’s, PopUp Anthology, and Full Spectrum Features: Trenton-Chicago Film Exchange at the Mill Hill Playhouse at 7 p.m., showing “Chicagoland Shorts – A Traveling Short Film Series” and “Trenton Makes – Filmmakers From the Greater Trenton Region.” Trenton Film Society was founded in 2004 by local filmmakers who wanted to build a better understanding of filmmaking. They host discussions, screenings and film festivals throughout the year. Now until September 10, 2017 – New Jersey State Museum – Toy World – Be transported back to another era in the exhibition spotlighting the history and innovation of toy manufacturing in New Jersey. Toy World, focuses on the little know stories of the important role New Jersey played in the history of the American toy industry. Main Museum Building. 205 West State Street, Trenton. Tuesday – Sunday. 9-4:45 pm. Riverside Gallery. All Summer Long – Artworks - Trenton&apos;s visual arts center. Artworks is best known for producing Art All Night, the 24-hour creative festival in the spring and Trenton&apos;s own open studio tour, Art All Day, in the fall. Artworks also has a year-round schedule of exhibits, performances, youth and adult programming, special events and other creative fun. Artworks&apos; expansive industrial space downtown features three galleries: the Main Gallery, for major survey and theme shows of contemporary art; the Community Gallery, for student and other shows with local partners; and the Project Room, for experimental installations.